Dr. Govani and Dr. Childs’ patient-first dental health philosophy comes to life when you walk through the door at Govani Dental. You can expect high quality care and professionalism from our family dental practice in Oshkosh, WI. Beyond excellent care, you’ll notice our office is different than your typical dentist office. 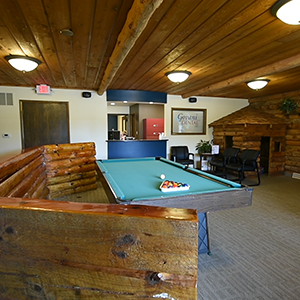 Our welcoming space and friendly staff offer a warm, comforting atmosphere. While our treatment areas are complete with high-tech amenities that facilitate the most advanced general dentistry available. Our team also completes rigorous sterilization and disinfection daily to ensure you’re comfortable and safe throughout your visit. As we continue to welcome new patients, our office space has expanded to serve you. In early 2016 the 1,000 ft. office expansion at our 1819 Evans St. location was completed. The added space features new treatment rooms, staff break room, expanded lab and expanded sterilization facilities. We are proud to offer more space and state-of-the-art technology all to benefit your dental health. You can count on quality care with integrity and respect at Govani Dental. You’ll find our office on Evans St. off Murdock St. in Oshkosh, Wisconsin. Visit our Contact Us page to locate the office and review our hours.